The two photographs of the Pander IV at Allahabad, shortly before the accident in which it was destroyed. 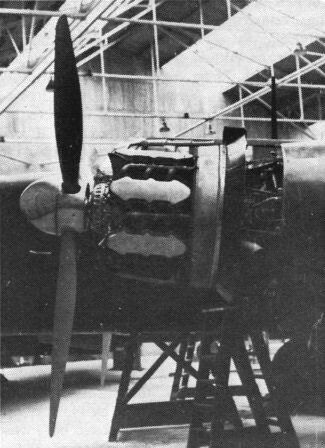 The double row of blisters (housing the cylinder valve gear) which characterised the cowling of the Isotta-Fraschini-built Gnome-Rhone 14K engine installed in some Breda Ba 65s may be clearly seen in this close-up photograph of an aircraft of the 94 Squadriglia, one of the component squadriglie of the 2 Stormo which operated in the fighter role. This photograph shows a Klemm Kl 35 C/N 1816, alias Sk 15A Serial No 5014, shortly after becoming SE-BHS at Satenas in 1948.